Providing you the best range of surgical instrument cabinet, instrument cabinet and ss locker instrument cabinet with effective & timely delivery. CMPMETAL COMPANY manufacture instrument cabinet Large, all-welded construction Stainless Steel Instrument Storage cabinet stainless steel hinged 4 doors with glass door and adjustable steel self-shelves. With handle right side door locks both doors Locking with Handle on in the closed door. Instrument Cabinet is a Large, all-welded construction Stainless Steel Instrument Storage cabinet stainless steel hinged doors with glass door and adjustable steel self-shelves. With handle right side door locks both doors Locking with Handle on in the closed door. 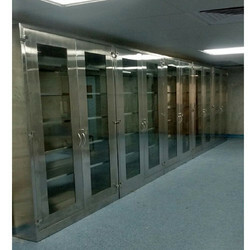 CMPMETAL COMPANY manufacture instrument cabinet Large, all-welded construction Stainless Steel Instrument Storage cabinet stainless steel hinged doors with glass door and adjustable steel self-shelves. With handle right side door locks both doors Locking with Handle on in the closed door. 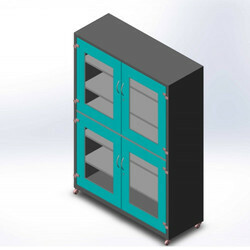 SS Locker Instrument Cabinet is manufacturing unit and a team of experienced and technically qualified professionals , we supply a vast range of SS Lockers Products. Our offered range includes SS Safety Lockers and Shoe Lockers. These SS lockers find applications in, Hospitals,and pharmaceutical locker. To meet the growing requirements of our esteemed customers, we can also customize these as per their specified customer requirements. We are offering these SS lockers to our valued customers at competetive prices. These S.S lockers are highly durable and strong enough to resist all damages. 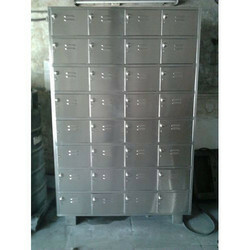 We are famous in designing and fabricating lockers, which are manufactured by using high grade stainless steel. Provided with lock systems. These can be specifically customized on the basis of size, design and lock system.